A few years ago, I stumbled upon LensPen and have been a fan ever since. When I was younger I would always use newspaper to clean windows and always thought it did a great job. The reason wasn’t because of the paper but the print on the paper. The ink is made up of a carbon compound which helps clean the windows. LensPen works on a similar premise. Impregnated with a unique carbon compound, the carbon does the cleaning for you and its build allows for oils and contaminants to be wiped away. 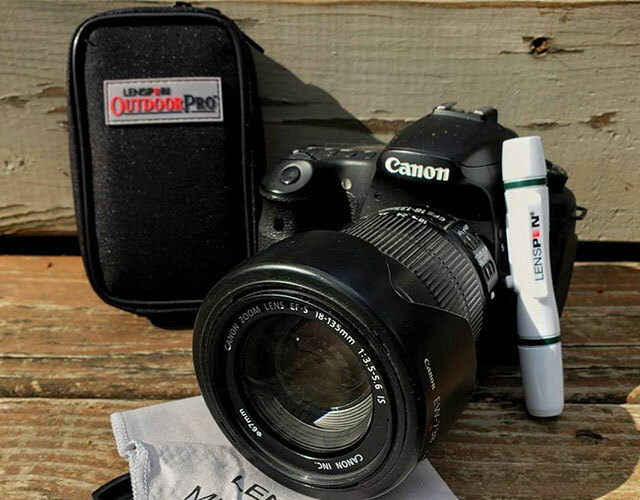 Now with the OutDoorPro Kit you have the tools to keep all your outdoor lenses perfectly clean. The LensPen is a great tool for cleaning your scopes, binoculars, rangefinders, cameras and much more. 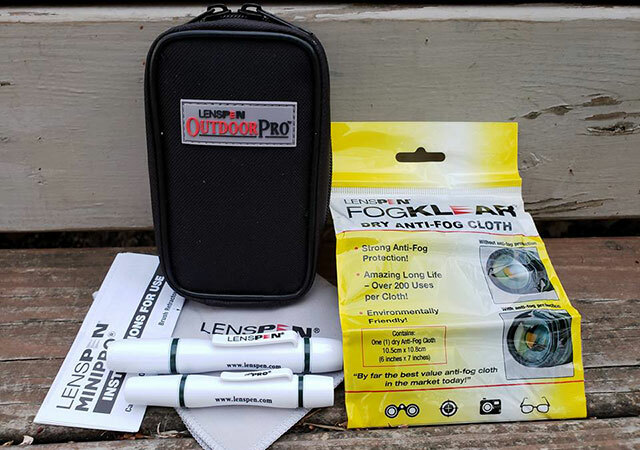 The LensPen OutDoorPro Kit includes the following: 1 Original LensPen, 1 LensPen MiniPro, 1 MicroKlear Microfiber Cloth, 1 FogKlear Antifog Cloth and 1 Convenient Nylon Carrying Bag with Belt Loop. This kit is great for keeping in your pack or suitcase. Each LensPen is good for over 500 cleanings. The best part is that it can be used without any liquids and is incredibly easy to use. I like to use mine on my Canon lenses, GoPro lens and polarizing filter. My wife has been using LensPen Peeps to clean her glasses for a few years now and it is still going strong. A LensPen can be used on all optical lenses such as, LCD, plasma and glass and removes fingerprints with ease. Overall, this is a great kit and a must have for outdoor enthusiasts. Everything you need is in the zippered case. The belt loops on the case allow you to attach it to your belt, or affix it to a pack. At a price of $34.95, this is a handy tool for anyone who wants to keep their optical lenses clean with zero fuss. For more information, please visit www.LensPen.com.